IS THAT ZORRO? 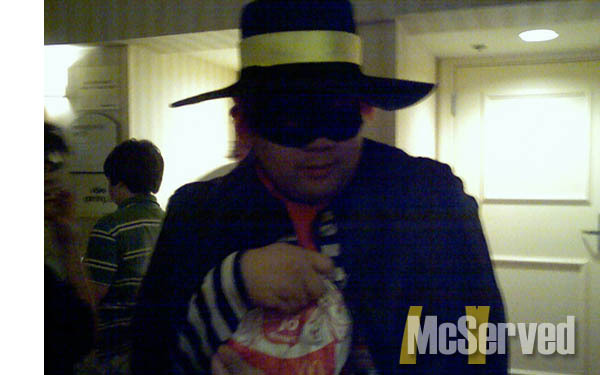 | McServed: Getting Served McDonalds Fast Food Funnies, Laughs and More! hamburler up to his sneaky tricks at a party. This is so sad, I can’t believe this all!! !